Our guests aren't just any old guests. 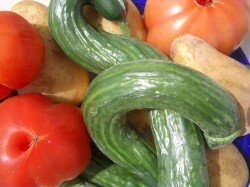 We love pampering them with freshly harvested fruit and veg direct from our fields. The service is included in the price of your stay. 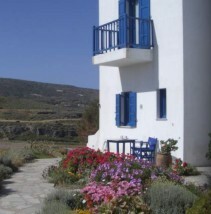 It doesn't matter if you would like something for a quick snack or are fully self-catering on holiday - depending on the season we have tomatoes, cucumbers, courgettes, aubergines, potatoes and much, much more. 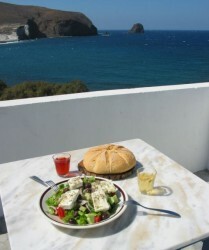 Therefore, as every studio has a well-equipped mini-kitchen, nothing stands in the way of making a delicious Greek meal. Whoever hasn't prepared Melitzana sto fourno (aubergines from the oven) or Choriatiki ("Greek salad") with fresh, sun-ripened vegetables will be amazed at how aromatic these dishes are.